Apply morning and/or evening to the whole face, avoiding the eye area. "This lightweight moisturizer with mattifying properties contains a small amount of dry finish silicones, but the matte finish you’ll get is short-lived due to the amount of glycerin and the thickener isocetyl stearate." With that said, I have used other moisturisers that claim to be mattifying that either don't particularly have any mattifying effects or that last roughly a whole five to ten minutes before the shine reappears, so in that respect, I'm still happier with Effaclar Mat than any of those products. In regards to moisture, I find it does a good job. The skin is left feeling silky smooth and hydrated and it stays feeling that way all day. As a makeup base I find that it works okay. It's not as good as using a primer, but it's far better than when applying makeup on different moisturisers that I've tried. However, if sun protection in your moisturiser is a necessity, you may be dissatisfied to hear that Effaclar Mat does not contain any. This means that you will need to apply a separate product to protect your skin from the sun. Forgetting the formula for a second though, there is a separate issue that isn't major, but it does feel noteworthy. The amount of product that you get for the price (40ml/£14.50) may be disappointing for some, especially as I find that due to the thick formula you need to use a fair amount to cover the entire face. Overall though, Effaclar Mat is a good moisturiser, but I don't know if I would go as far as to say that it is fantastic. 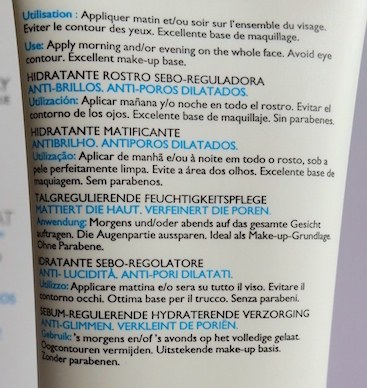 I say that because I have used other products by La Roche-Posay that are absolutely incredible, and in comparison Effaclar Mat seems to be missing something that makes it feel as special as those other products. If you have oily skin though then it is worth checking out. 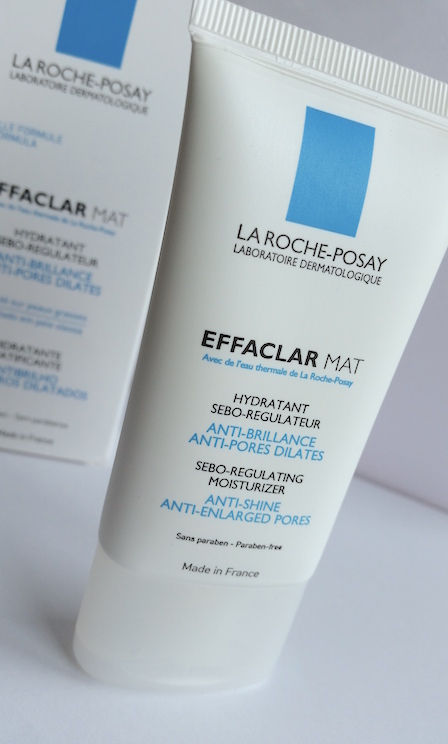 You can purchase La Roche-Posay's Effaclar Mat for £14.50 for 40ml from La Roche-Posay. What are your thoughts of La Roche-Posay's Effaclar Mat? What's your favourite La Roche-Posay product?